Well, this sounds maybe like scrounging (don't know if it's the right English word) but as to my very limited time and the sad fact that Dougy who wanted to work with me disappeared a long time ago and doesn't answers my PMs I'd like to ask you for help. It's a torch, too, but it should look different from the one you modeled above, much more simple. Look at this picture (http://www.seithcg.com/pictures/misc/cr ... onWIP2.jpg). The torch will be placed here (http://dl.dropbox.com/u/700957/Urban%20 ... /torch.jpg, http://dl.dropbox.com/u/700957/Urban%20 ... c/azt3.jpg). cec, I'll make you a wooden torch when I get home later, looks pretty simple. PS, map is looking good. PPS, it's not scrounging, I want practice making models and I might as well make models that people want. Wow, thank you! You're damn fast. 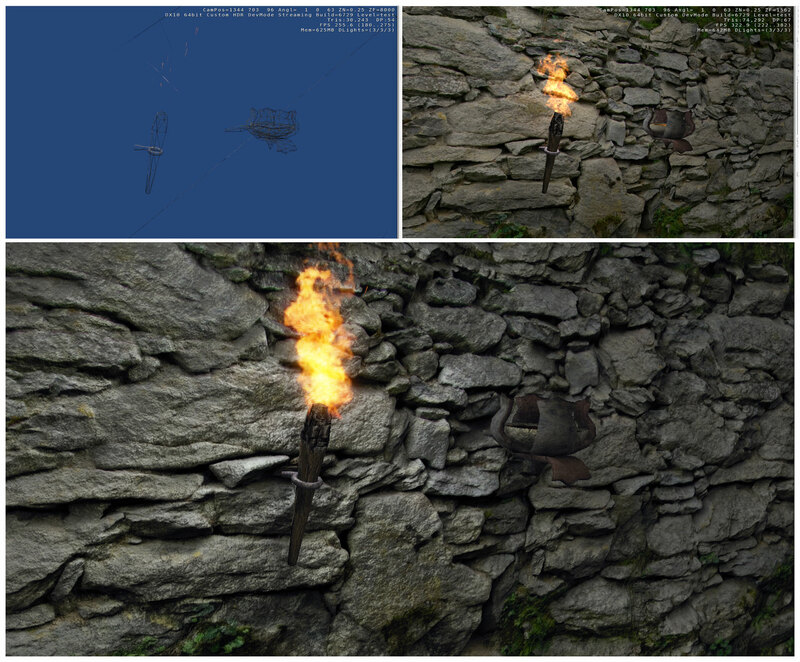 The end of the ring is too short, that's a problem on some of the walls the torch will be placed (as you can see in the first screenshot, some walls are not even). Can you make it longer? And can you make the torch a little bit taller and at the bottom not so sharp edged (this is not so important, just an idea)? I'll make a version 2 later today - I wasn't happy with the model. Yes, that is perfect! Is it possible to rotate the wood texture at the bottom (and make the part under the ring slightly longer)? Just place a CMM banner of your choice somewhere in the map would be nice.